The 5-seat Elantra arrives in 2018 with 6 trims plus 2 all-new sport model hatchbacks, the GT and GT Sport. The base model 2018 Elantra features a sleek, aerodynamic exterior, a luxurious and roomy interior and a starting price that’s lower than most of its rivals. The 2018 Elantra at Lithia Hyundai of Reno also comes with a 10-year/100,000- mile powertrain warranty and includes a variety of interior features like cloth, leather, heated and ventilated seats, a sunroof and hands-free smart trunk. 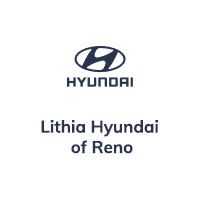 Visit Lithia Hyundai of Reno and test drive the new Elantra. It is now available for lease or purchase. The 2018 Elantra gives drivers in Reno, Sparks and Carson City several engine options. The SE, Value Edition and Limited come with a 2.0-liter 4-cylinder engine that delivers 147 horsepower — more than both the Nissan Sentra and the Toyota Corolla. Joining the lineup for the new model year, the new Elantra GT and GT Sport hatchbacks feature a turbocharged engine and a huge cargo capacity. The GT hatchback comes with a 2.0L 4-cylinder that produces 162-horsepower and 150 lb.-ft of torque while the GT Sport hatchback and sedan deliver a 201-horsepower in a turbocharged 1.6L 4-cylinder engine. When it comes to interior space, the 2018 Elantra has a lot of it. In the sedans, drivers will get 14.4 cubic feet of trunk space — a foot more than the Toyota Corolla. In the GT, there’s even more space. With 55.1 cubic feet of cargo space, Elantra GT drivers will have more space than rival hatchbacks like the Volkswagen Golf, Ford Focus, Chevrolet Cruze and Honda Civic. The new Elantra in Reno has numerous tech features designed to keep drivers In Reno, Carson City and Sparks entertained and informed while also keeping their eyes on the road. Visit Lithia Hyundai of Reno and test drive the 2018 Elantra and see why it’s among the most talked about new vehicles in the upcoming year. It is now available for lease or purchase. Stop in now!